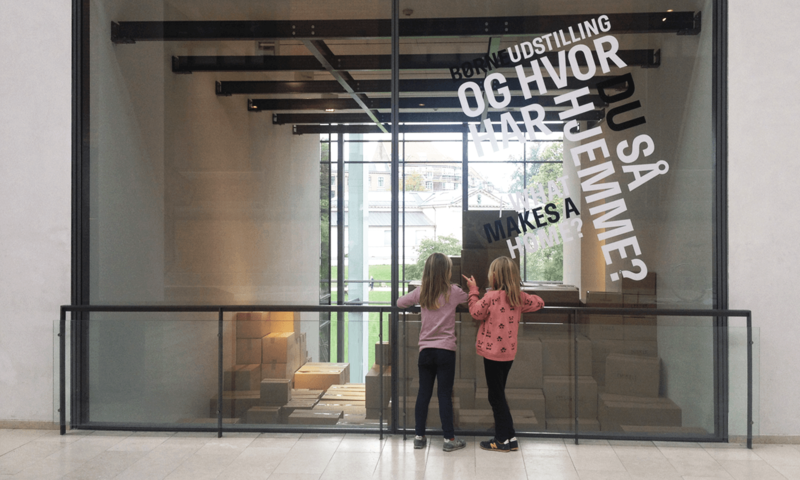 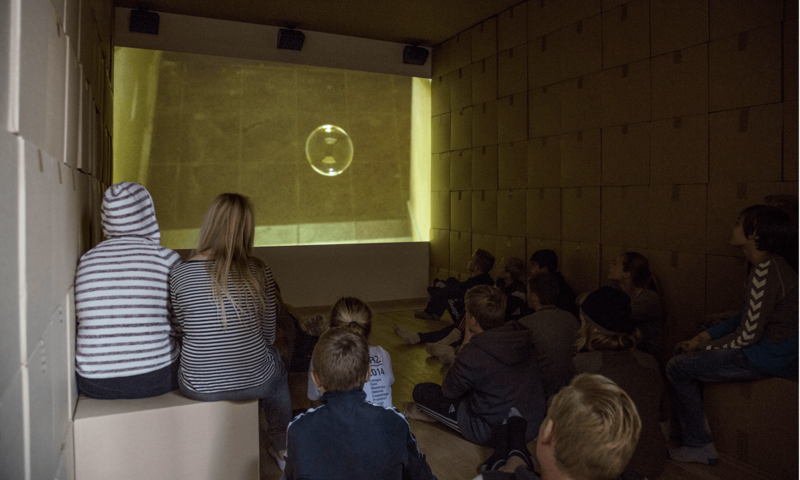 Exhibition design for a children's exhibition at The National Gallery of Denmark (SMK). 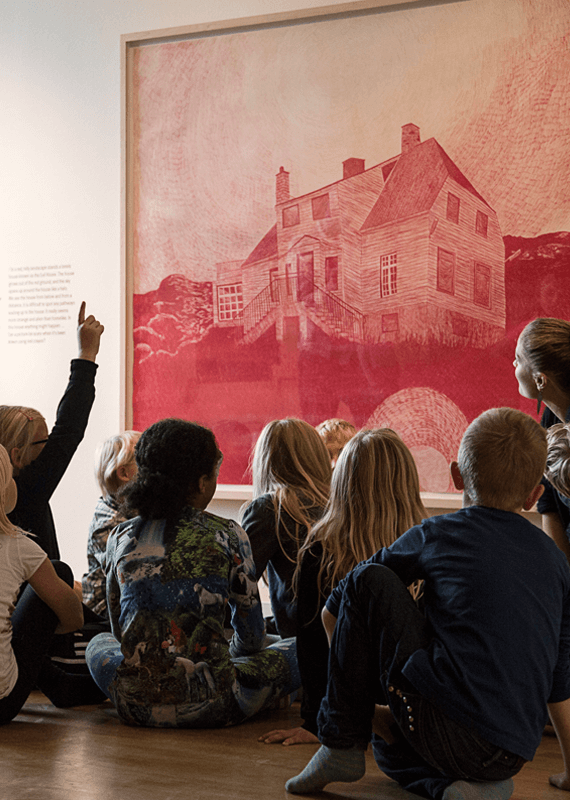 The children's exhibition is designed to invite all visitors to smell, touch and reflect on all the things related to 'home'. 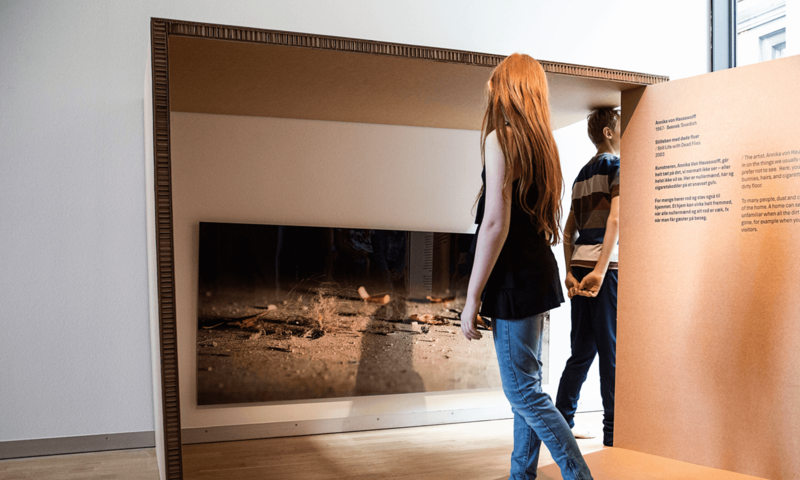 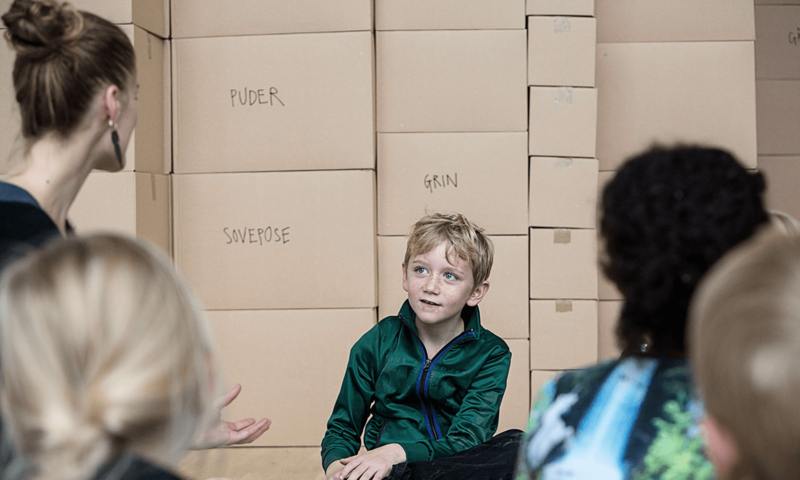 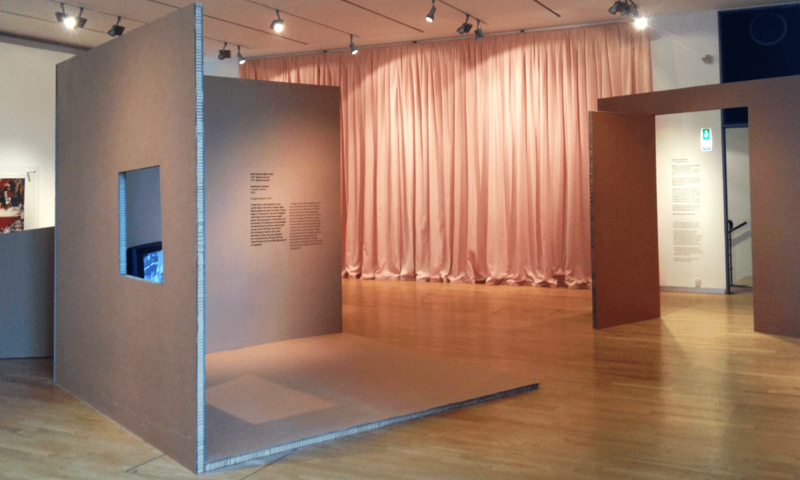 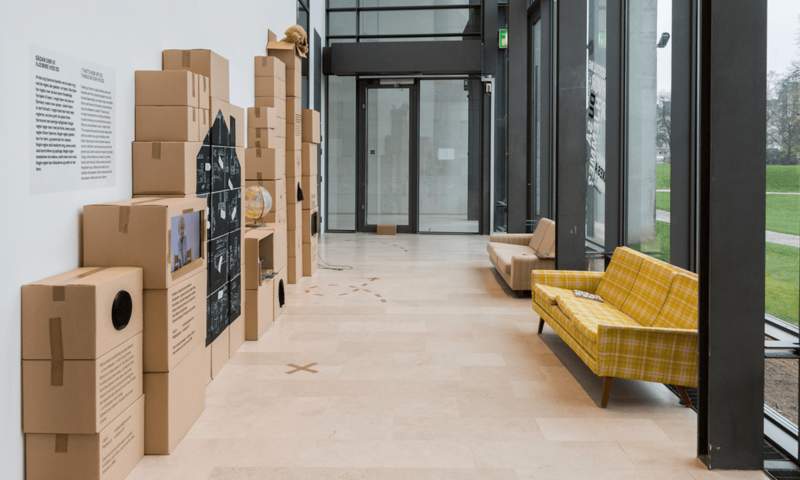 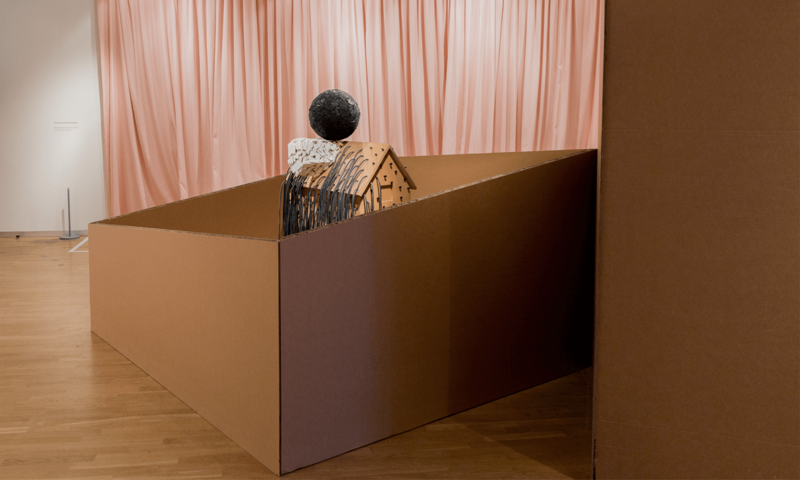 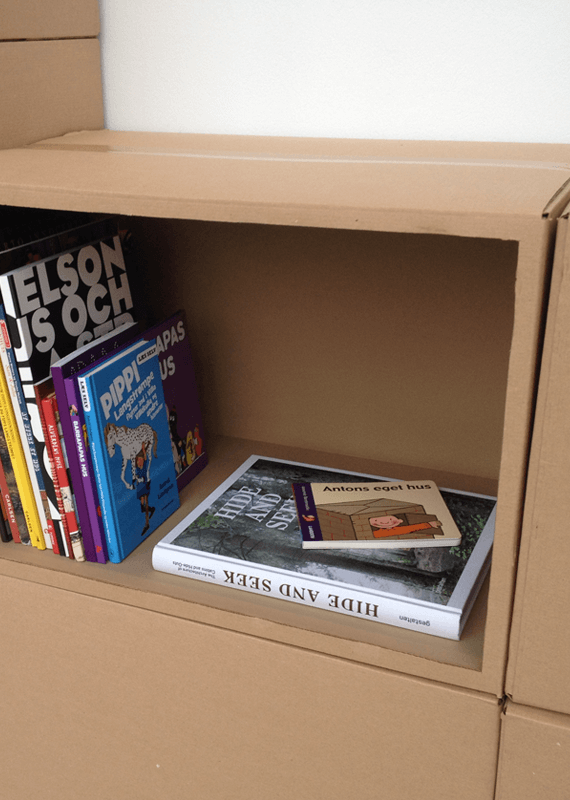 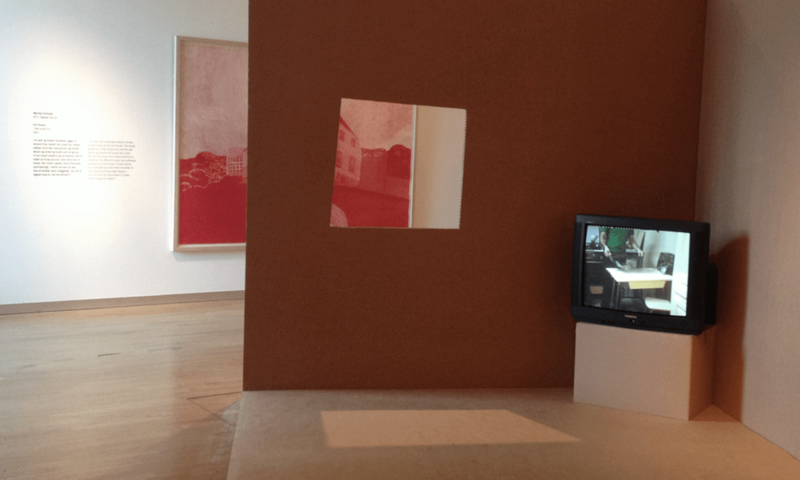 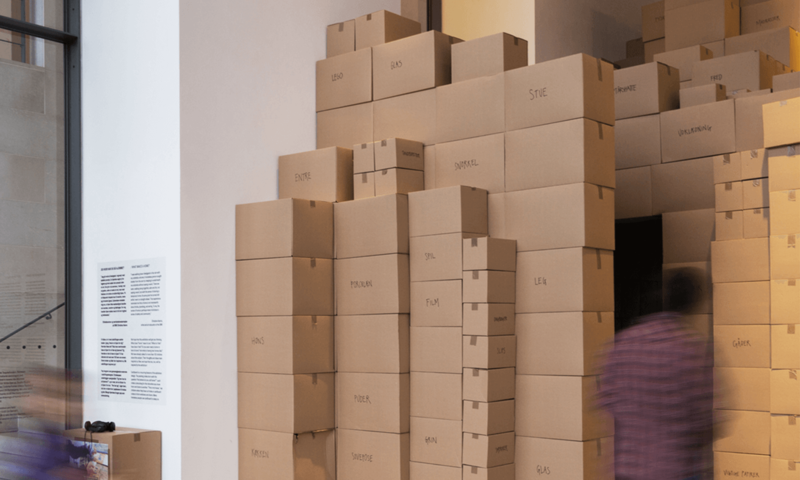 Cardboard boxes are a recurring feature of the exhibition design, functioning as surrounds for ten thought-provoking art pieces by artists from Denmark and abroad. 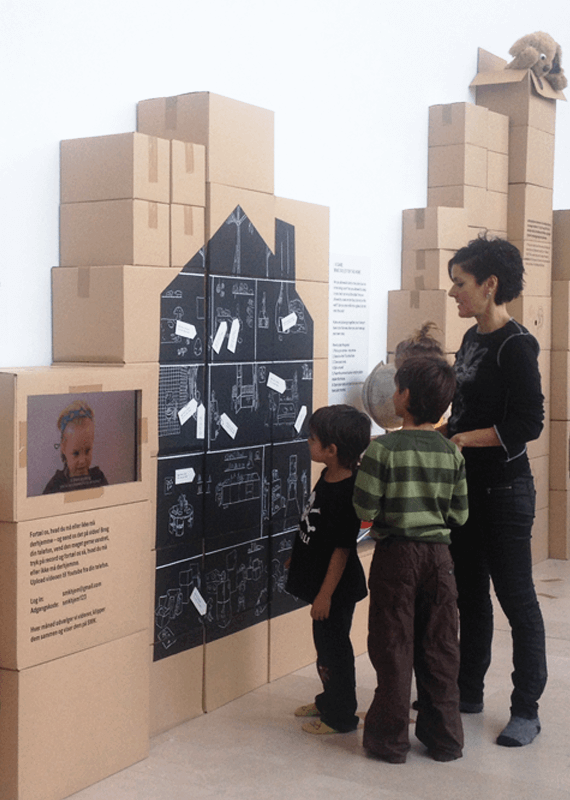 The cardboard box supports the question: "What makes a home?" 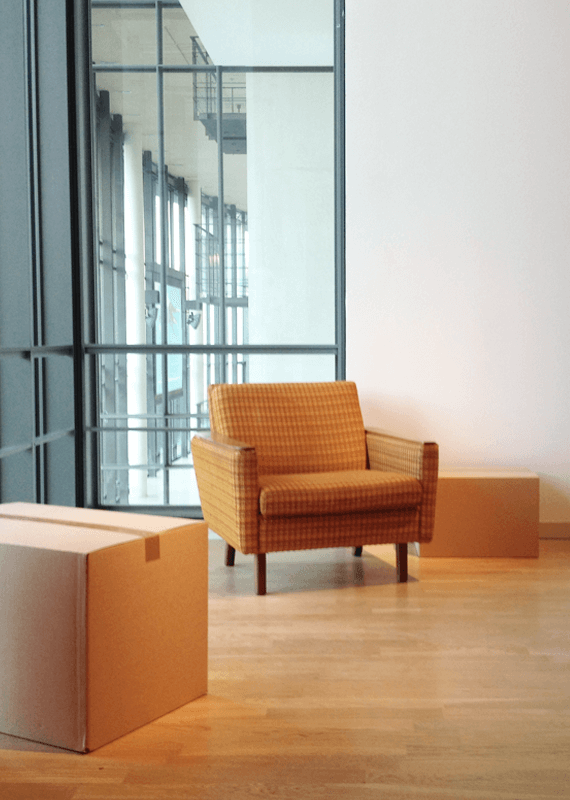 and moves with you as you move from one home to another. 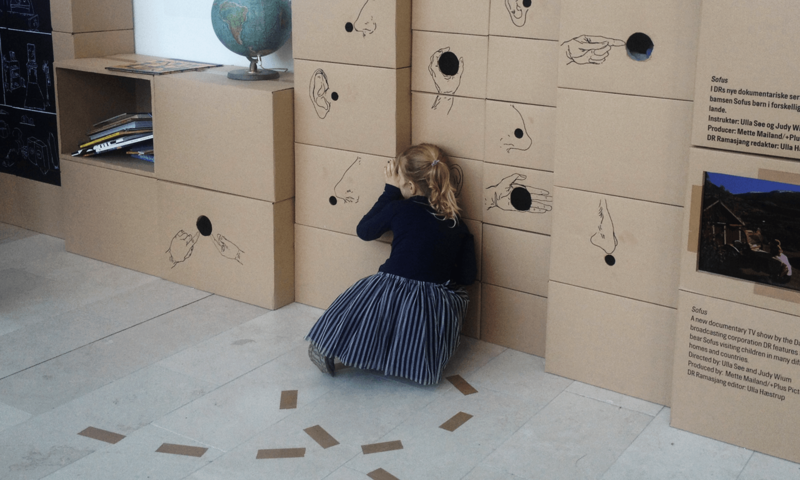 "This is my house" children will say after cutting out holes in cardboard boxes to form windows and doors. 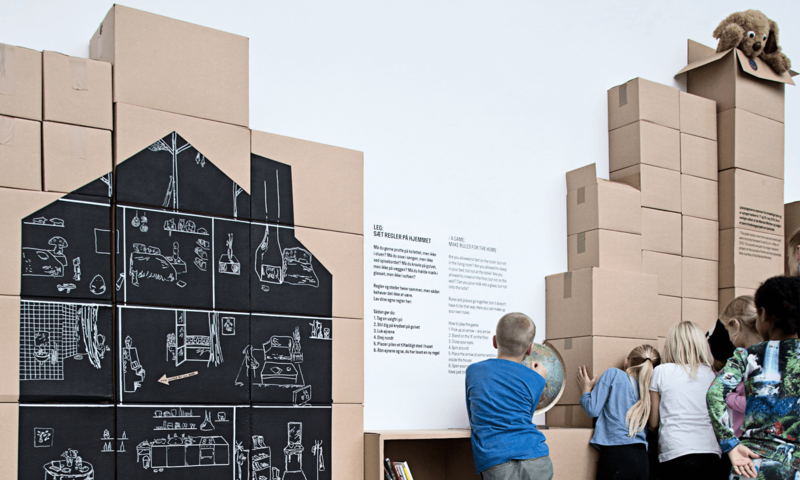 It engages children's imagination and raises thoughts about living in a cardboard box for better or for worse. 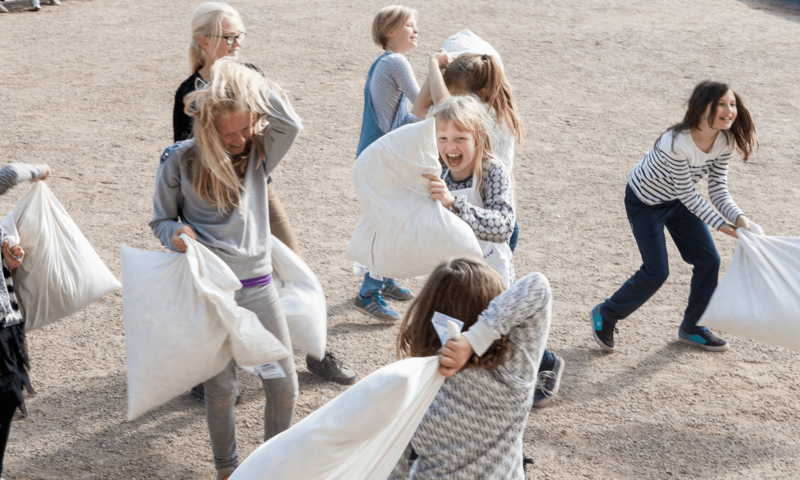 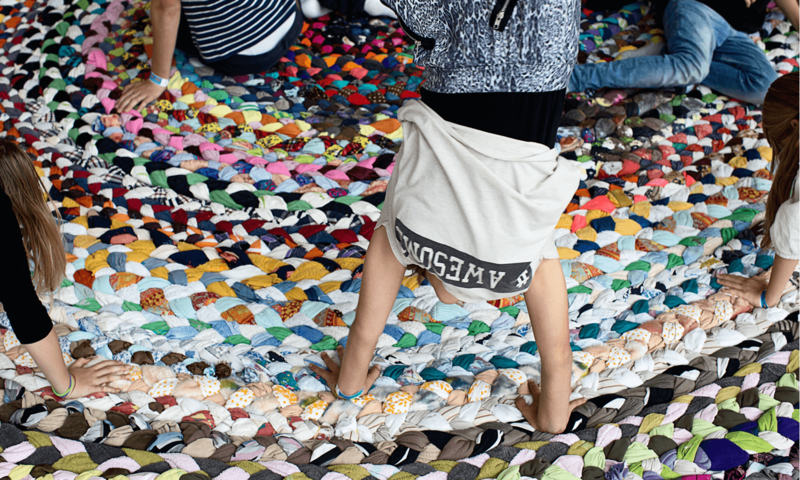 The exhibition opened with a huge pillow fight.